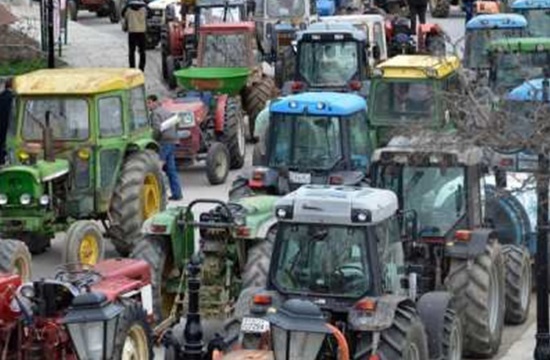 ATHENS – The tactic hasn’t worked yet but Greek farmers upset with austerity measures said they will once again block some of the country’s national roads with tractors, the first set to to up in Larissa and Trikala in the central part of the country. The blockades have become almost an annual event sideshow ignored by the government even though they sometimes last for weeks and disrupt traffic and the flow of goods out of the country. The head of farmers’ groups from Karditsa, Vangelis Boutas, said producers would escalate their action. “There is no other path than the path of resistance and unity with other working-class groups,” he said, according to Kathimerini. They did the same last year but ended the blockades in mid-February without gaining anything while demanding changes to measures including tax and social security hikes they couldn’t stop. It wasn’t clear what they hoped to gain this time as Prime Minister and ruling Radical Left SYRIZA leader Alexis Tsipras, who promised to help farmers but broke his word as he has done on virtually every vow he’s made, ignored their protests. The farmers last year used their tractors and equipment, primarily in northern Greece and along the borders with Bulgaria and FYROM, preventing the movement of cargo to those countries and cutting into Greek exports. Thousands of anti-austerity protests since international bailouts began in 2010 have done nothing to persuade successive governments from forging ahead with more brutal measures. Two years ago in February more than a dozen tractors rolled through Athens, honking horns and flashing lights outside parliament as thousands of Greek farmers thronged the capital’s main Syntagma Square to protest tax hikes and pension reforms. Bailout lenders demanded that Greece scrap tax breaks for farmers and impose pension reforms that will lead to higher monthly contributions from the self-employed and salaried employees. “They fooled us,” Manolis Paterakis, head of one of Crete’s farmer blockades, said of the left-led government. “They were telling us that they support us, that they are fighting for the survival of the farmers, … that young people need to return to their villages and work their land.